From homes to dogs, keeping things clean and tidy has helped North Staffordshire entrepreneur David Caddy sweep to success. The former butcher has built successful companies Dial A Dog Wash and Spot On Cleaning in Newcastle-under-Lyme. Now, having established a growing business empire in Ireland, coincidentally based in Newcastle, County Down, David is handing the management reins of Spot On Cleaning to his 26-year-old daughter, Tasha. The management of both Dial A Dog Wash and Spot On Cleaning are a real family affair. David’s wife, Diane, now manages Dial A Dog Wash and son, Sam, is an expert dog groomer. Spot On Cleaning currently provides work for around 40 part time workers, cleaning in homes in an area stretching from Alsager to Stone. Tasha said: “We have an established and trusted name that attracts long term customers including home owners who have been with us since the business launched in 2008. 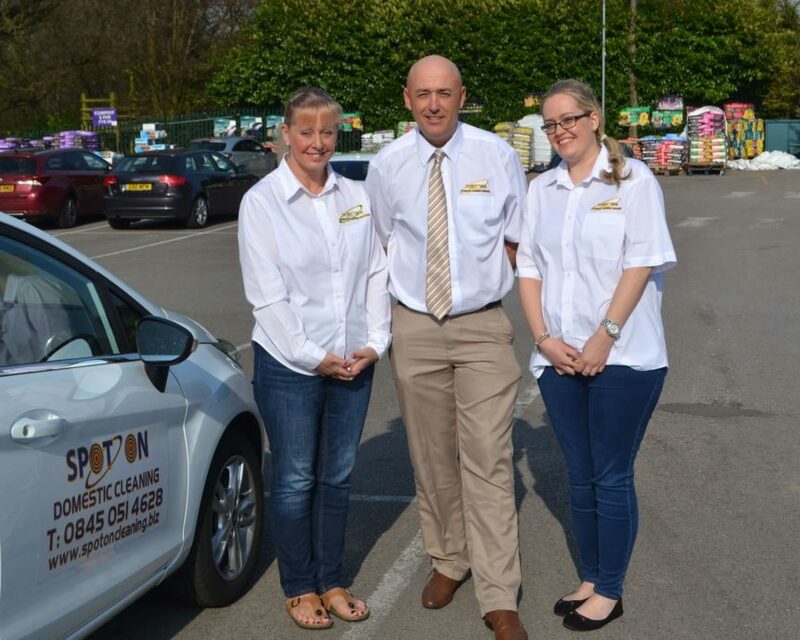 David said: “I bought a Dial A Dog Wash franchise in 2006 and the whole family has worked hard to make it among the most successful in the UK. ” As a result of that, I was asked to become Master Franchisee for the brand for the whole of Ireland and have recently also been asked to expand into the Channel Islands, Isle of Wight and Isle of Man. I now spend most of the year based in County Down, where we have also invested in other local and national enterprises. To find out more about Spot On Cleaning, please go online to www.spotoncleaning.biz.